Above: Alexis Peskine, “Soninké Whispers,” 2017. Nails, moon gold leaf, paint and satin varnish on wood panel, 241 x 247 cm. Courtesy of the October Gallery. When Art Basel arrived in Miami Beach in 2002, collectors, the jet set and those in the visual arts field attended Art Basel and the few satellite events that coincided with the fair. Now, every gallery, artist, and non-profit wants a part of the weekend, and that is a positive thing. Art Basel Miami Beach/Miami Art Week brings no less than $13 million to the economy of Miami Dade County and provides a platform for over 4,000 artists to exhibit and perform. The palpable energy of the highly anticipated arts week encourages people to enjoy the art in traditional and non-traditional ways. Our favorite part of Art Basel Miami Beach/Art Miami Week is the representation of black artists from the African diaspora; artists from Haiti, The United States, Ghana, Nigeria, France, Brazil, Jamaica, and Cuba. You will find these artists in Miami Beach and the surrounding cities exhibiting their work and performing. This year, you can party with Virgil Abloh and view the work of Afro-Cuban artist Alexandre Arrechea. The amount of artwork by late-career and early career artists is vast and requires some research and planning if you want to experience everything the diaspora has to offer. 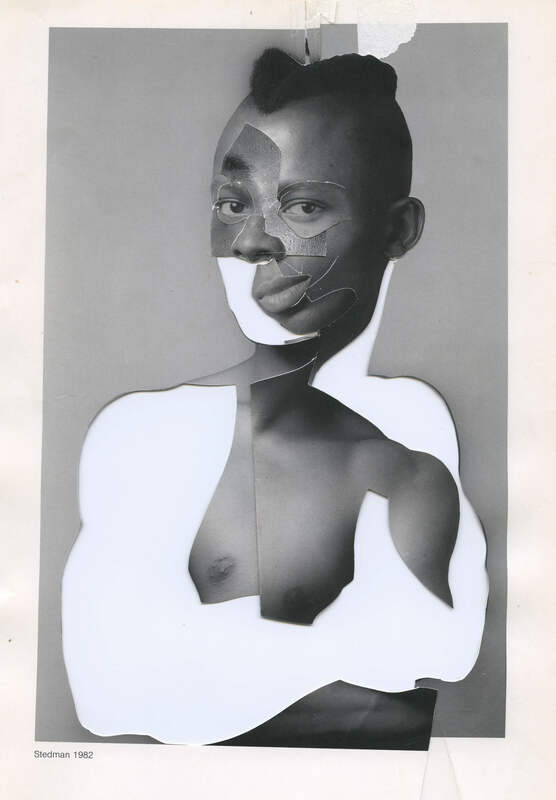 With a field that is filled with small and significant exhibits, this guide gives you everything you need to find artists of African descent. You will be able to explore Miami neighborhoods that have an exciting history and support the local Black Miami art scene, and larger fairs in commercial districts. This year, we’ve added a map to make navigating Miami more manageable, and to help you plan your Art Basel/Miami Art Week travel. Art Basel Miami Beach December 7-10th: Art Basel Miami Beach is the catalyst for Miami Art Week and has provided upscale art buying for those that purchase from the world’s elite galleries. Expect the best African diaspora artist from the Goodman Gallery, the gallerist for Yinka Shonibare, Kudzanai Chiurai, and ruby onyinyechi amanze. 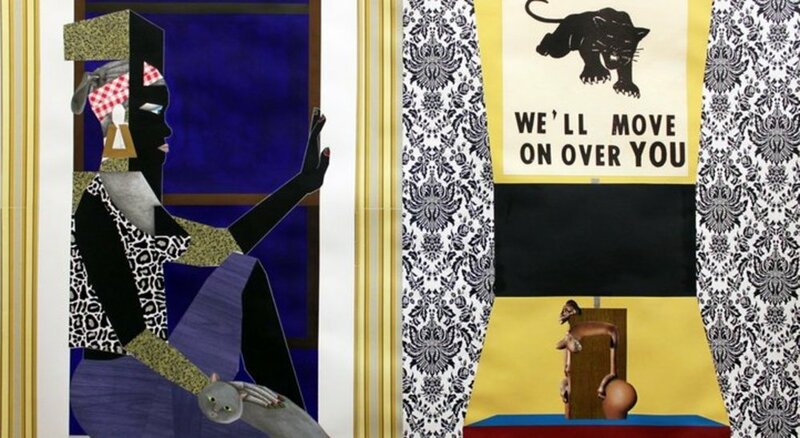 Jack Shaiman Gallery will show work by Carlos Vega, Kerry James Marshall, Nick Cave, Radcliff Bailey, Hank Willis Thomas, Carrie Mae Weems and El Antsui. The Goodman Gallery brings Wim Botha, Dada Khanyisa, Zanele Muholi, Barthélémy Toguo, Kemang Wa Lehulere, Moshekwa Langa, and Pieter Hugo. Rhonna Hoffman will also show work by Nathaniel Mary Quinn. 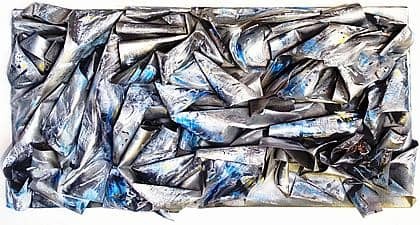 Expect to see Wardell Milan at David Norman Gallery, Arjan Martins at A Gentil Carioca, Sara Cwynar Tracy at Foxy Production, Xaviera Simmons at David Castillo Gallery, Jamal Cyrus at Inman Gallery, Frank Bowling at Hales Gallery, and many more. Also, Art Basel Miami Beach will spotlight Yto Barrada, Breena Youngblood, Charles Gaines and his site-specific installation, work by David Driskell, a short film about the teenage life of Jean Michel Basquiat. This year’s panels include Jordan Casteel, Teju Cole, Isaac Julian, Arthur Jaffa, Jason Moran and Yto Barrada. 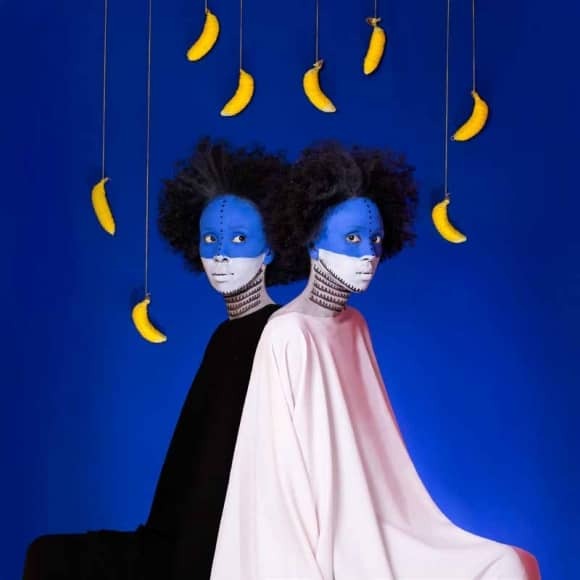 Pulse Art Fair December 7th-10th: This year, expect #blackgirlmagic with Jenkins Johnson Gallery, Aida Muluneh, Delphine Fawundu and Bisa Butler. 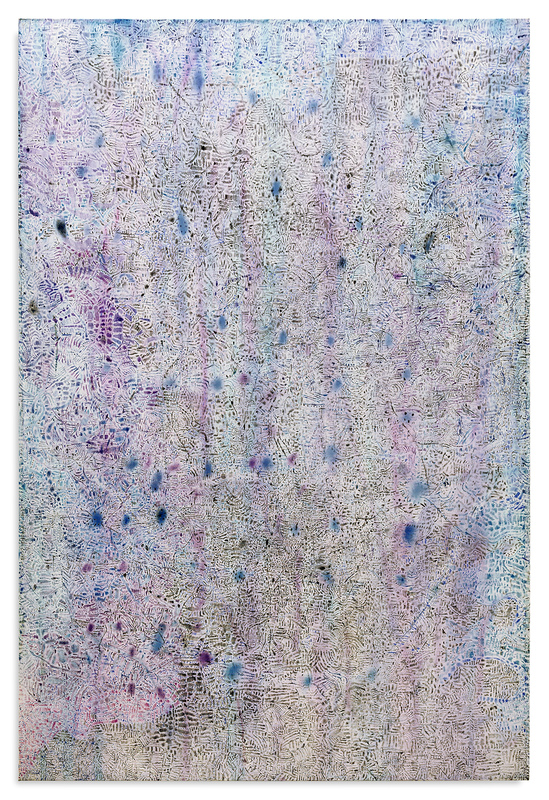 Also, Devon Shimoyama returns with his magical pieces. Pulse Art Fair is officially based in Miami and is one of the more jovial of the major art fairs. The African Heritage Cultural Art Center (AHCAC) December 2: This year, AHCAC has a one-day festival of Art, Blues, and Barbecue. Visual artist Adonis Parker shows his surrealist work with a social message, and you can celebrate the day with barbecue vendors and blues performers like Ike and Val Woods, Chicago Blues All-Stars and the Valerie Tyson Band. The ARC at the Opa Locka CDC until December 30th: Here is a tip: keep your eyes on Opa Locka if you want to see world-class art. This year you can see exciting public art piece Afro Pick by Hank Willis Thomas and the exhibit ATMAN: The Caribbean Lion featuring Derrick Grant. 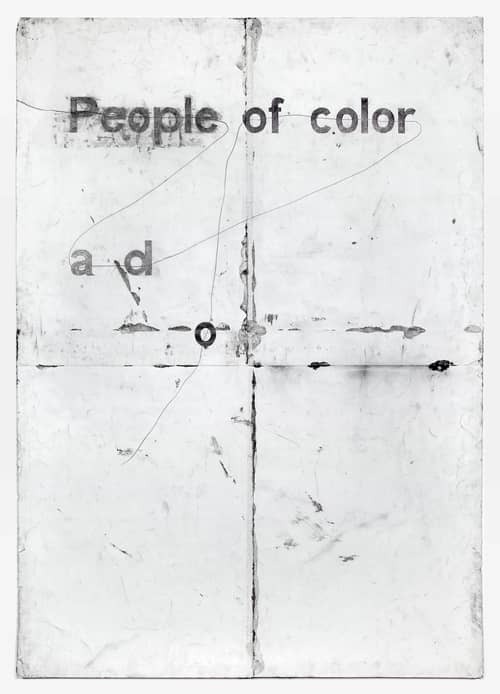 Above: Aisha Tandiwe Bell, from the installation Let Them Eat Dirt. 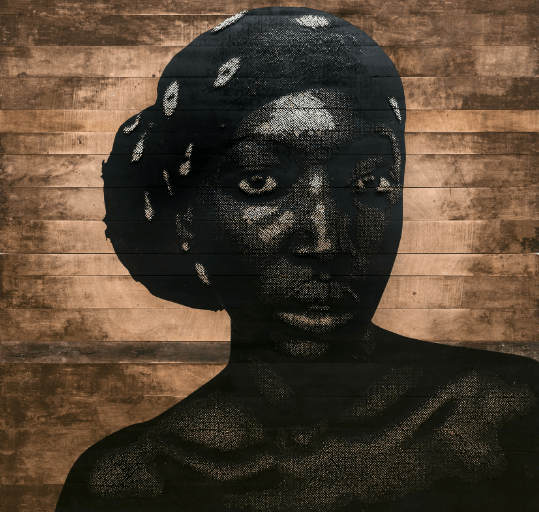 Art Africa Miami December 5th-10th: In its 7th year, Art Africa Miami has inspired multiple fairs and this year returns with influential artists from all over the globe. The show is held in Overtown, a historically Black neighborhood in Miami. Come see work by Abdoulaye Konaté, Aisha Tandiwe Bell, Antonius Robert, Bodo Korsig, Bryan McFarlane, Carlos Salas, Christina Nicola, Doba Afolabi, Emilio Martinez, George Edozi, José Bédia, Kofi Kayiga, Lyric Prince, Manuel (Tony) Peralta, Maximo Caminero, Miles Regis, Peter Wayne Lewis, Phillip Thomas, Rhea Leonard, Rick Ulysse, Robert McKnight, Saddi Khali, Solomon Adufah and William Cordova. The five-day fair ends with panels and an artist roundtable. Above: Playing Fields: Not Level (2017) by Sharon Barnes at Gallery 38. Aqua Art Miami December 6th-10th: Housed in a South Beach Hotel, Aqua Art Miami is an art fair for early-to-mid-career artists. In the past, Aqua has been on point with new artists, and this year we are excited to view work by artists of color. Visit Aqua Art Fair to see work by Sharon Barnes, Monch 1929, Sam Pace and Patrick Henry Johnson (Gallery 38 in booth 211), and Rufus Snoddy. 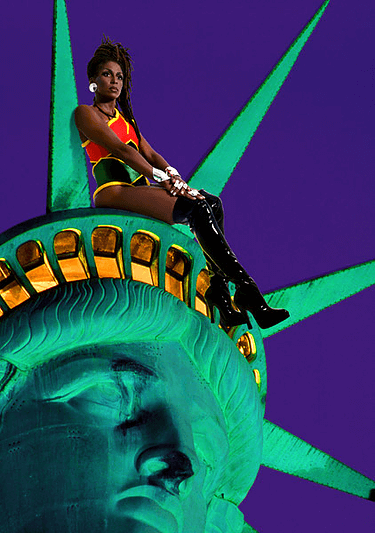 Above: Chillen with Liberty by Renee Cox. Prizm Art Fair December 5th-17th: Prizm Art Fair celebrates its 4th anniversary this December. 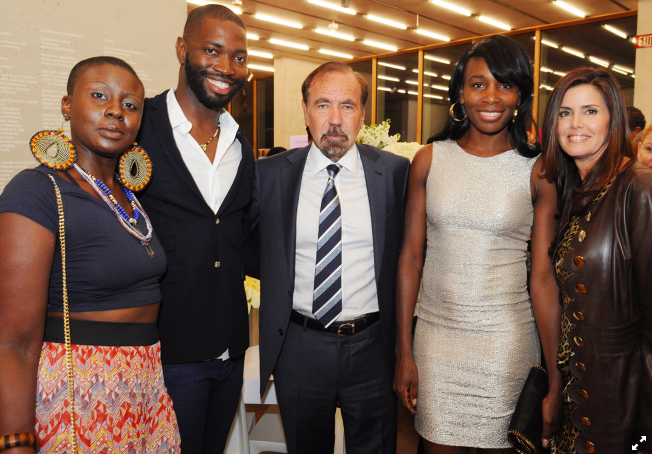 Each year, Prizm grows stronger with some of the most impressive contemporary artists in the African diaspora. This year it is more significant, with too many artists to name. Look out for Coco Fusco, Renee Cox, Basil Kincaid, T. Elliot Mansa, a panel with Laylah Amatullah Barrayn, performances by Tsedaye Makonnen, and art by our own Onajide Shabaka. This year also features SWARM. Presented by Lafayette College and the Experimental Printmaking Institute and Contemporary Ghareb curated by the Aftab Committee. Scope Art Fair Miami Beach December 5th-10th: This year, Scope Art Fair is a must-see fair for fantastic artists of African descent, such as Keyezua (Mov’Art Gallery), RETNA at the National Institute of Urban Art, hyper-realist artist Ayo Filade at The Art Plug and the collection of Amare Stoudemire. You can enjoy music by Jesse Boykins III on December 8th for the Scope Art Fair Miami Beach Kickoff party. Above: Tony Lewis People ad roloc foo 2012. Pencil and graphite powder on paper 84″ x 60″. New Art Dealers Alliance (NADA) December 7th-10th: NADA is a Sugarcane Magazine favorite. New Art Dealers Alliance shows work from young galleries and non-traditional work such as Haitian spirit bottles and flags. This year, make a beeline for Chicago’s Tony Lewis at the Shane Campbell Gallery. Haitian Heritage Museum Opens December 5th: The Haitian Heritage Museum presents a group show with Alexis Peskine, Tracey Guiteau, Troy Simmons, Belina Wright and Kandy Lopez. Alexis Peskine has been known as a Rockstar in the art world for quite a while. 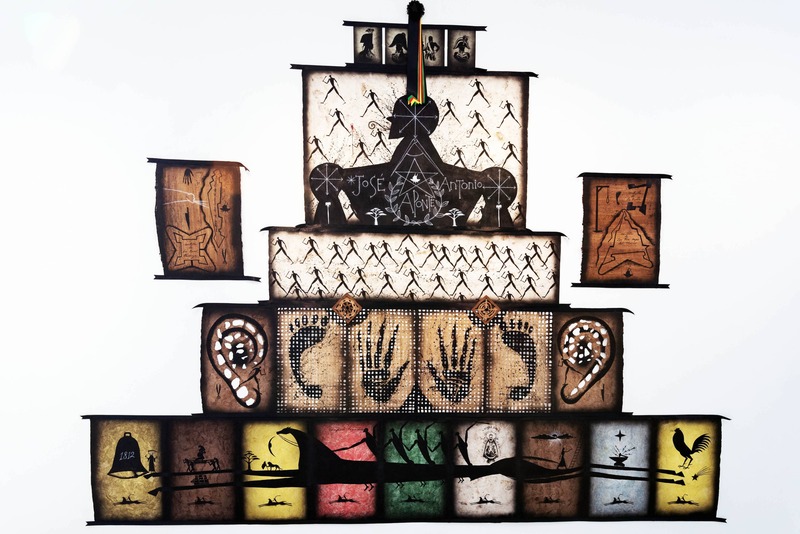 His last major shows with 1:54 African Art Fair and the AKAA Fair made the demand for his work soar. Young Artist Initiative presents RAW December 6th-10th: The senses unfold as Young Artist Initiative presents their signature night featuring more than 40 emerging artists, including James Balo, special performances, and three floors of immersive installations. Awaken your RAW senses and experience art through a new lens. 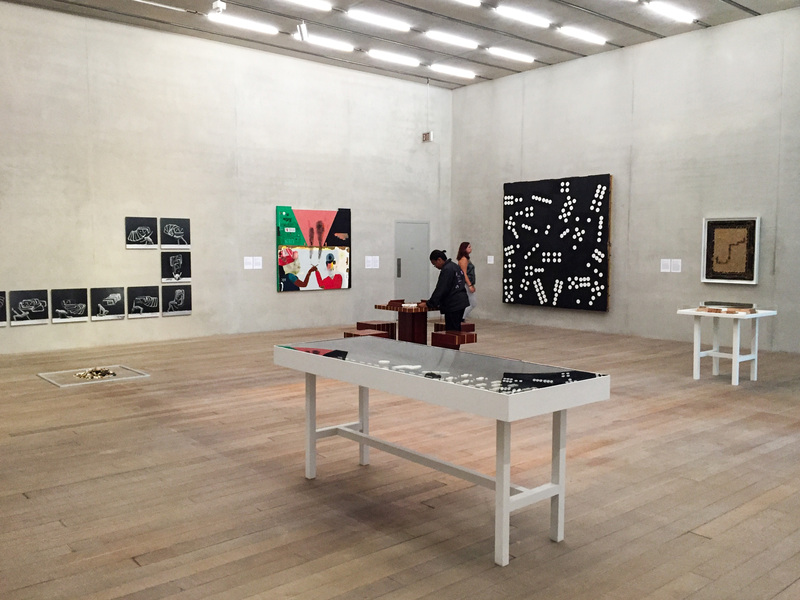 Perez Art Museum (PAMM): One of the newest and best art museums in the world, PAMM often features work from African diaspora artists as a part of their commitment to diversity and representing the South Florida community. This year, view work by Hew Locke and John Dunkley. Little Haiti Cultural Complex (LHCC) December 6th-10th: Little Haiti is a must when you come to South Florida. 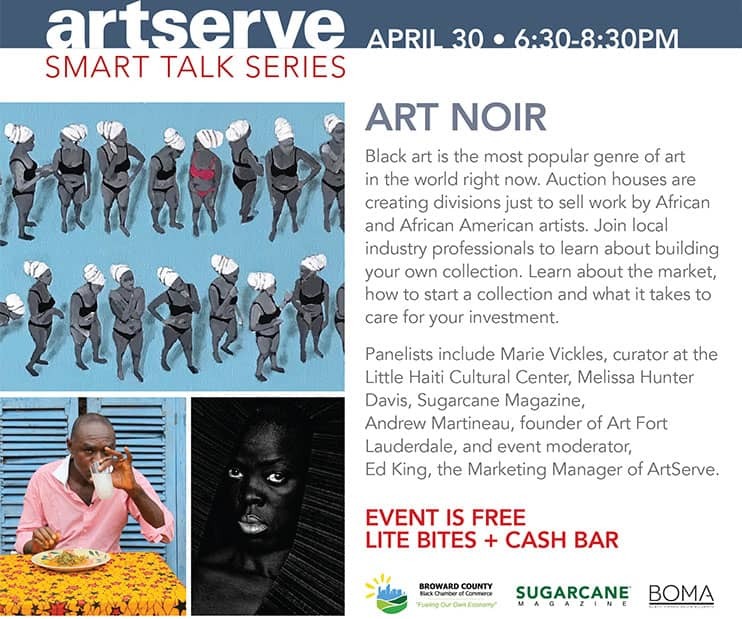 Not only is Little Haiti a historic community, but LHCC offers three exhibits that are important to the cultural fabric of the Americas.Visionary Aponte: Art & Black Freedom curated by Eduard Duval-Carrie featuring Jose Bedia, Fabiola Jean-Louis, Sanford Biggers and Asser St. Val. Now or Neverland: Ode to Hip Hop, the South Florida Webfest, and Art Beat Miami curated by Carl Juste. Above Cut the Heat, 2016 by Tomm El-Saieh. Acrylic on Canvas 72×48 inches. Institute of Contemporary Art, Miami (ICA) Opens December 1st: ICA is the newest museum dedicated to contemporary art in Miami. Not only does ICA have a stunning new building, but admission is also free year-round, and the first exhibitions in this new space feature four Black artists: Charles Gaines, Abigaille DeVille, Tomm El-Saieh and the brilliant Chris Offili. Spectrum Art Fair December 6th-10th: Spectrum Art is a juried art fair in the heart of Miami. This fair is urban, upscale and features an international slate of artists. 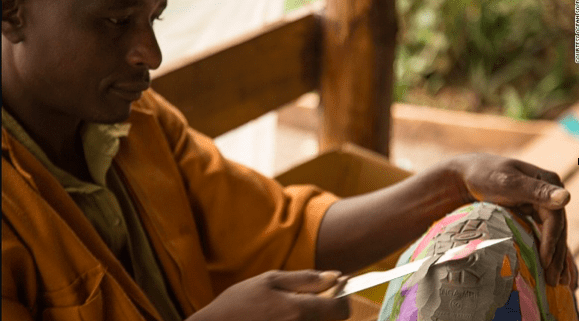 Visit this year to view Karen Robey and Shona sculptor Gedion Nyanhongo from Zimbabwe. Spectrum holds artist panels, and meet and greets, along with parties to celebrate the week. Pan American Art Projects, Cernuda Arte), Norman Lewis (Spanierman Modern), and Gordon Parks (Arthur Roger Gallery, James Barron Art). Diaspora Vibe Cultural Arts Incubator at The Gallery at South Pointe Opens December 1st: Diaspora Vibe Cultural Arts Incubator presents thirteen global artists including Sugarcane’s own Onajide Shabaka. 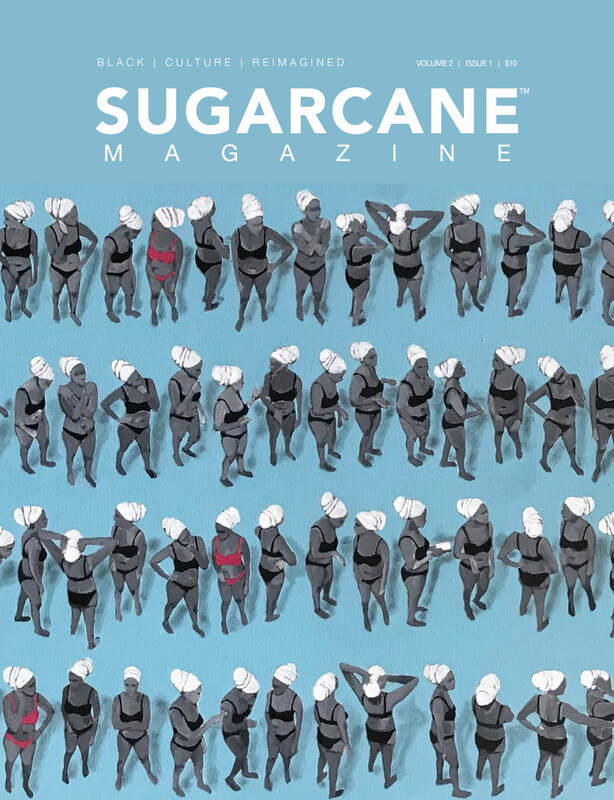 DVCAI is a friend of Sugarcane Magazine and the first event of Miami Art Week that we are attending. Above: Title: White Noise, Let the choir sing a magnified silence (25 Affirmation).Slipped cast porcelain ceramic & altered forms 2017. Bridge Red Studio November 19th to January 7th, 2018: Some of the most interesting ceramic pieces we have seen is created by Morel Doucet, a local Haitian-American artist. This year, he is a part of Sixth at Bridge Red Studios in North Miami (check out our map for directions). 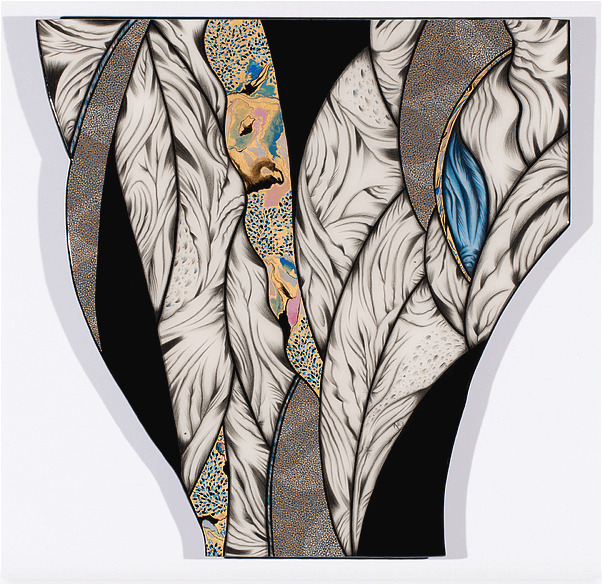 If you don’t know Morel Doucet’s work from Prizm Art Fair, this is a great time to get to know him. Galeria Nara Roesler: Sugarcane is making plans to enjoy work by Alexandre Arrechea. Arrechea’s work explores ideas about power, and that happens to be àpropos these days; his public artwork is also well-known, and it’s great to support Miami-based artists of renown. IMAGINATION LAND: Fantastical Narrative at the National Young Arts Foundation Campus through December 15th: During this year’s Miami Art Week, the National YoungArts Foundation will present work curated by Derrick Adams featuring emerging artists and the organization’s alumni as they establish themselves in the art world. 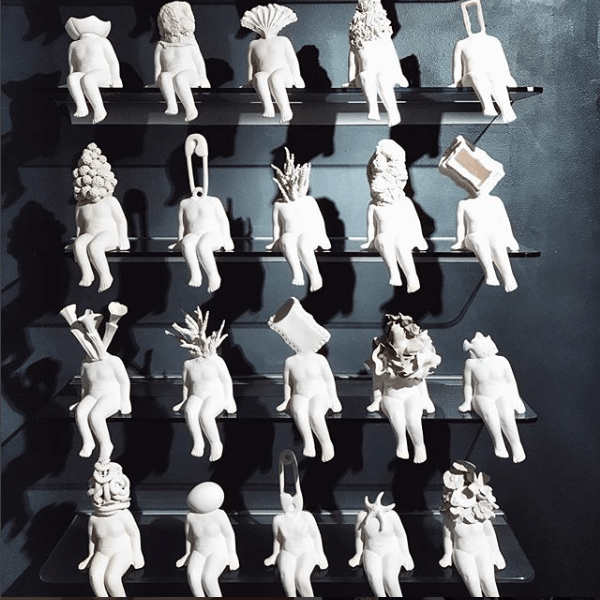 At the YoungArts Gallery, IMAGINATION LAND will feature new and recent interdisciplinary works addressing consumerism, gender roles, the environment and ceremonial ritual. On view now through December 15, 2017, the exhibition includes video, sculpture, painting and performative works that explore how the mechanics of art production can reflect how we see ourselves as products of our surroundings. Griot’s Gallery: Griot’s Gallery houses the private art collection of Dr. Michael Butler. His space is not only where Sugarcane staff visits, but Griot’s Gallery is also our neighbor. During Art Miami Week, view a fantastic collection of Dr. Butler’s Romeare Bearden artwork. On December 9, come to the gallery’s monthly talk that starts at 2 PM. 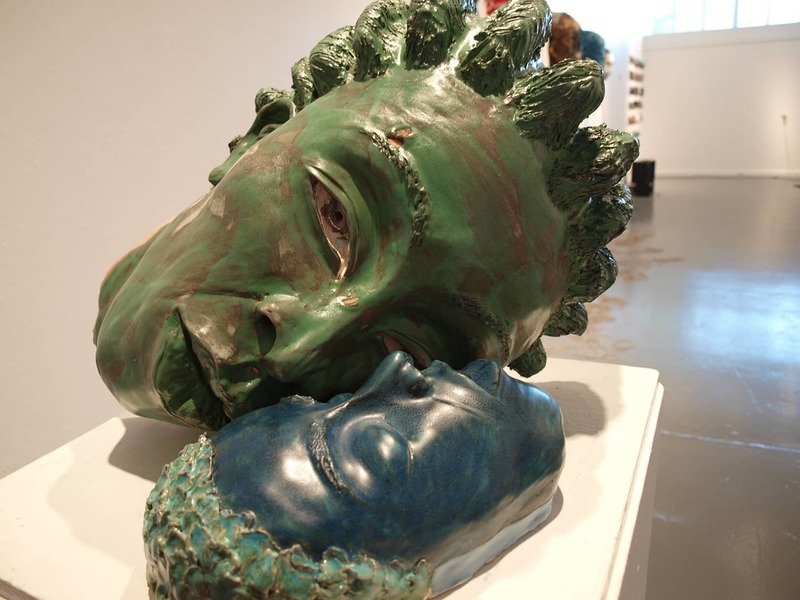 The Bass Museum through April 2, 2018: Last but not least, you can’t leave Miami Beach without visiting the South Florida institution The Bass Museum. The recently refurbished space is now open and houses impressive exhibits and collections. Visit the Bass to see work by Sugarcane favorite Pascale Marthine Tayou. Above Three is better than One by Michelle Weinberger. 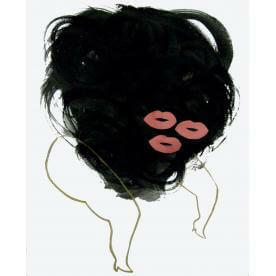 Edge Zones Art December 8th-22nd: Edge Zones Art is a Miami non-profit to exhibits contemporary and experimental art. Located in Allapatah ( just west of Wynwood) Edge Zones provides space for experimentation in a neighboorhood that is just gaining access to art. This is where you will see work by Serge Touissant, Shoshana Weinberger, and Nsenga K.
Fair. December 7th-10th: Spinello Projects presents Fair an alternative non-commercial art fair that addresses gender inequality in the art world and beyond; a platform for a diverse and multigenerational group of women artists. The line up this year is incredible and the fact that Juana Valdes is exhibiting makes this a must-see show. 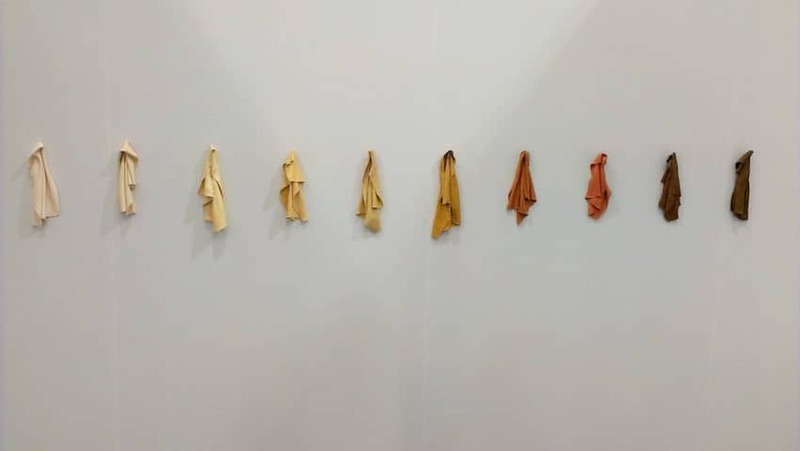 Above: Colored China Rags by Juana Valdes. Confessions of a Moon Child at Gallery 88: Catch Anthony Liggins at his gallery as he shows his work and others. The Art of Prayer at the Broadway Arts District: Join artist Marvin Weeks for a celebration of art in Liberty City. Buy art and support one of Miami’s authentic arts and business district. The Soul Articulate at The Overtown Performing Arts Center: BMe Community and Freez Frame Marketing & Media present THE SOUL ARTiculate. A pre Art Basel exhibit highlighting the area’s most talented young Black male artists! Artist include Mark Russell. December 1st. Basel B.A.E by SocialxChange: SocialxChange will present for the first time during Art Basel Miami, a unique event to showcase and feature art from (The Talented Tenth), 10 Alumni of HBCUs (Historically Black Colleges and Universities) & BGLOs (Black Greek Letter Organizations). Basel B.A.E is a rare cultural celebration of incredible visual art in various formats; paint, photography, sculpture and fashion. The artists will be present to comment on their work, and pieces will be available for purchase, along with additional items provided by our amazing local vendors. Route 1804: Little Haiti, Heartbeat of the Caribbean: Enjoy work by local Haitian and caribbean artists, curated by Marie Vickles and Bart Mervil. Opening night is at the Magic City Innovation District.